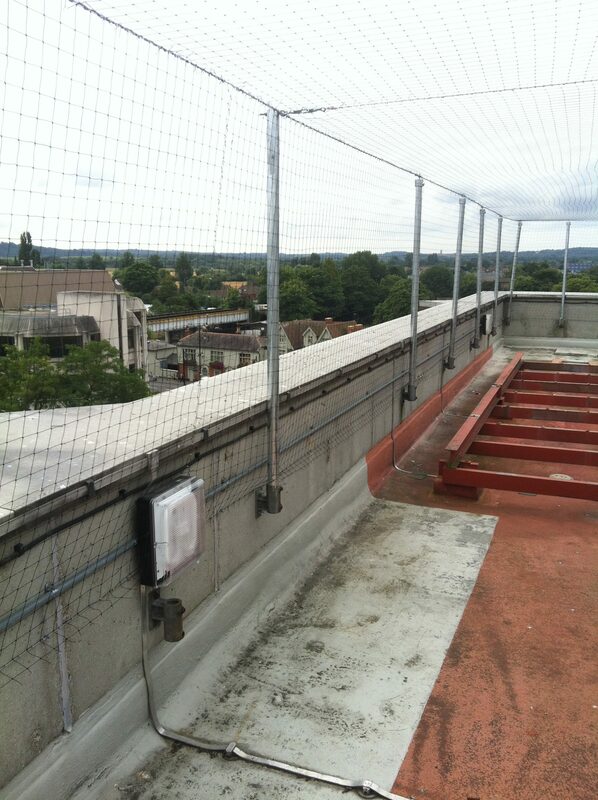 In this example we have installed a protective pigeon netting system to a the top of this fire escape stairwell. We also have fabricated gates from 32mm galvanised tube which can open both ways and close with the use of a cantilever weight centralising the gates position, and preventing the pigeons from entering the enclosure. 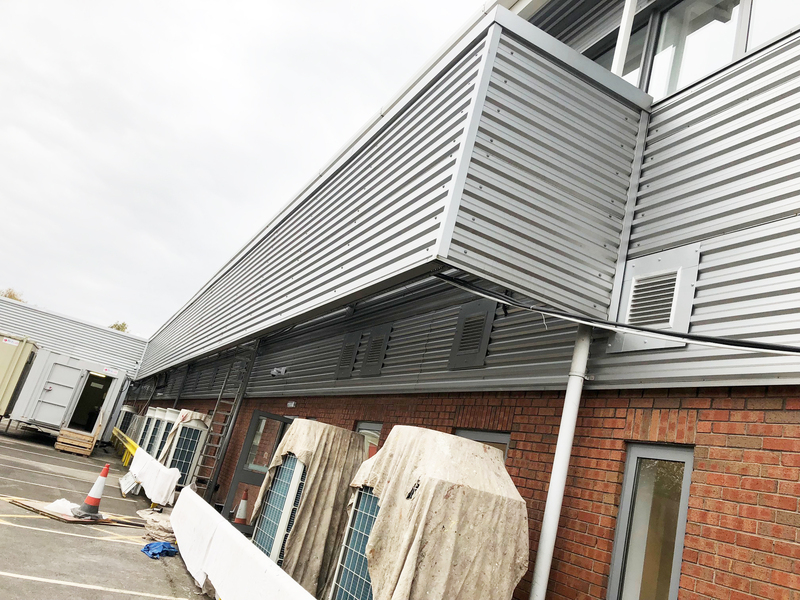 Protective netting has been installed on this office air conditioning plant area where pigeon have been roosting and nesting for the last few years. Before the protective pigeon netting could be installed we had to apply disinfectants and remove the pigeon guano and nesting debris. Once this had been completed we could start installing the upright supports and fixing to the parapet walls and eventually install the pigeon netting which totally prevented the pigeon entering again. Protective netting is one of the solutions we offer that will protect larger areas like, light well enclosures, air conditioning cooling towers, loading bays, large roof structures, plant room equipment. 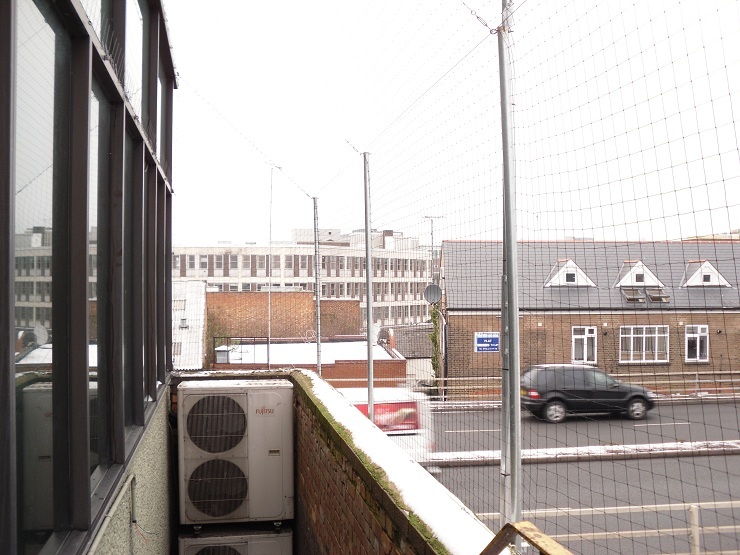 In this example we have used the protective pigeon netting above and below the enclosure to prevent the pigeon entering and contaminating the newly installed units.